What good news! We are joining forces with Majestic – one of the world’s largest link index services, to provide you with even more link analytics! As you may know, different backlinks crawlers explore different parts of the Web. Also, SEO experts have long agreed that it's always better to use several information sources. This is why we geared up to such a partnership. In order to receive updated data and see a complete picture of your backlink profile, first make sure you have a Majestic paid account. 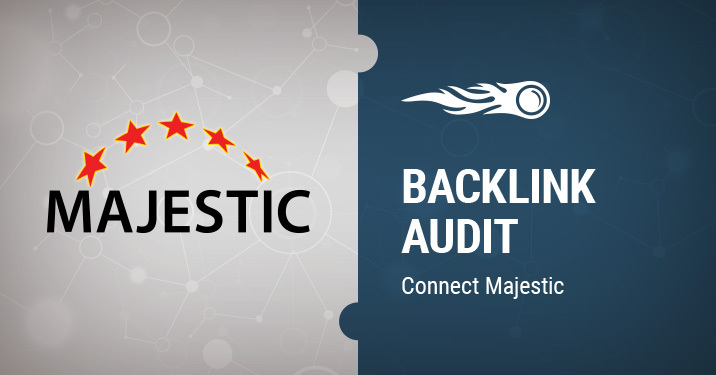 A button to connect Majestic is already in the Backlink Audit tool. Find it under the header. Then simply follow the manual to get those extra links for your analysis. We hope you find this update incredibly helpful. Feel free to send your feedback to [email protected].